NASA has decided to stop using Russia’s Soyuz capsule as transport to and from the International Space Station. What does this mean for the station’s future? NASA Director Charles Bolden has announced that the agency plans to stop using the services of Russian space agency Roscosmos for flights to and from the International Space Station by mid-2017. On Nov. 19, NASA began accepting applications from commercial companies to construct a new manned spacecraft that will be used for flights to the ISS. The program will be implemented through private-public partnerships with partial government financing. Two commercial space companies, SpaceX and Orbital Sciences, have already confirmed that they will be participating in the tender. These firms are already active in the sphere of spacecraft. In 2012-2013, SpaceX had two successful launches to the ISS of the world's only reusable supply spacecraft, Dragon. It was launched with the help of the Falcon-9 rocket. SpaceX has a $1.6 billion contract with NASA to deliver cargo to the crew 10 more times. In September, Orbital Sciences in September launched a Cygnus cargo-craft to the complex; it was brought into orbit by the Antares carrier. The Cygnus will make eight more flights to the space station under a $1.9 billion dollar contract with NASA. Both companies have already started work on developing the manned versions of these cargo vehicles that could be used to take crews to the ISS. Lockheed Martin is also actively working on the manned spacecraft Orion. With these options already in progress, there is little doubt that the United States will be able to replace the Soyuz. NASA pays about $65 million for each flight on the Soyuz. Despite the initiative to develop commercial space carriers, the ISS project is no longer the most important thing for American astronautics. In August 2006, then-President George W. Bush announced that the American space program would focus its attention on deep space and Griffin has also frequently pointed out that the strategic goal of the U.S. space program is outer space beyond near-earth orbit. In 2015, the ISS’s original operating agreement will expire. Although the decision has already made to keep the station operational until 2020, the reality of the station’s age must be taken into consideration. At the moment, the ISS is practically the only connection between the American and Russian space programs and it is unclear what could motivate NASA to reconfirm its commitment to the ISS. Joint research is one possible option or an increase in scientific experiments. For the United States, the ISS is only one element in a space program that has already started preparing for mars and moon tours and exploring option for deep space. For Russia, on the other hand, the ISS is the only thing that remains of a once massive manned space exploration. 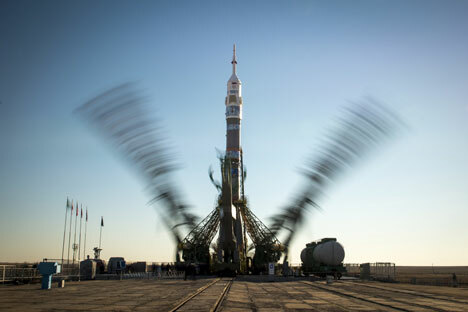 Russia’s new technology for manned space flight remains mostly on the drawing board.